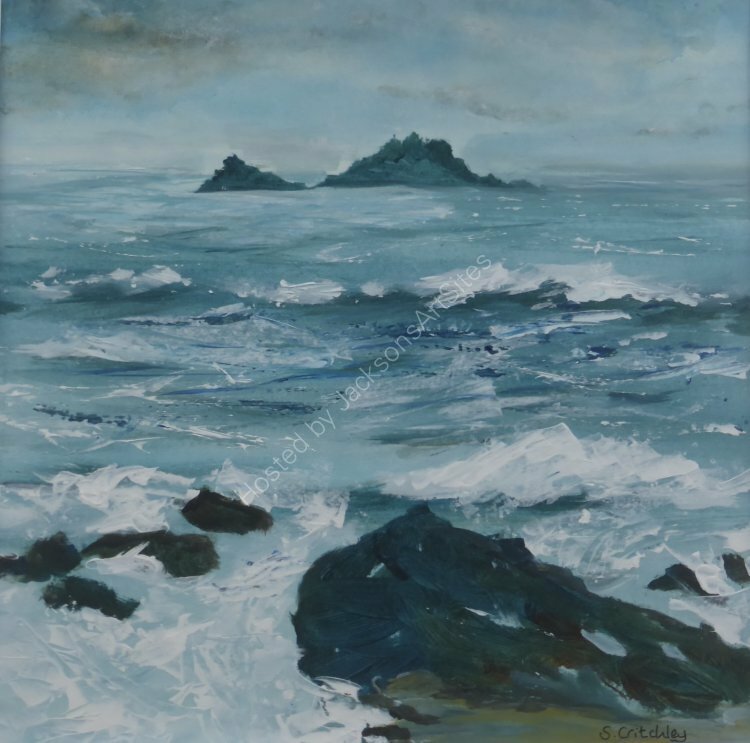 Painted on location on a September day when the wind was blowing as the tide was coming in with surf lapping around the rocks on the beach. An incorporating day! Painting in acrylic on board, image size approx 11” x 11”, mounted and framed in a white frame overall size 16” x 16”.